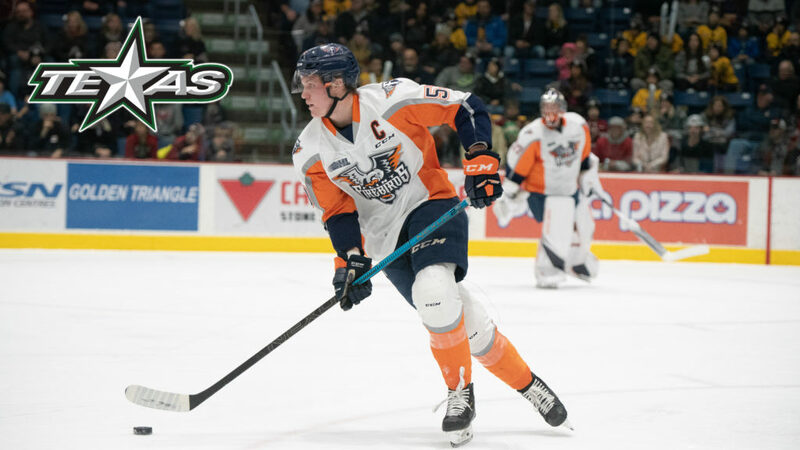 Flint, Mich. – The NHL’s Dallas Stars announced today that they have called up Flint Firebirds’ forward Ty Dellandrea to their American Hockey League (AHL) affiliate, the Texas Stars. Dellandrea is expected to join the team before their home game against the Grand Rapids Griffins this Wednesday. 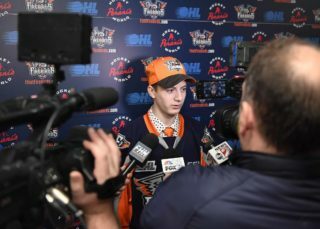 Dellandrea, 18, finished the 2018-19 campaign with 63 points (22G, 41A) in 60 games, leading the Firebirds in both assists and points this year. Over the past three seasons, he has amassed 146 points (62G, 84A) in 184 OHL games. 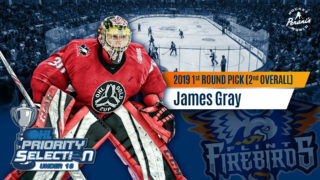 He became the first Flint Firebird to be selected in the first round of an NHL Draft when Dallas tabbed him 13th overall this past June. The 6-foot-1, 190-pound forward signed a three-year NHL Entry Level contract with Dallas on Sep. 19 after playing in his first NHL pre-season game against the St. Louis Blues on Sep. 18. 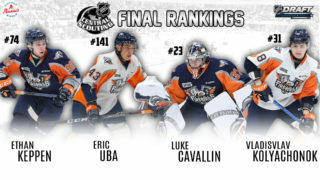 Dellandrea was originally selected by the Firebirds in the first-round, fifth overall, of the 2016 OHL Draft. He was then named an assistant captain in his second season in Flint before being announced as the club’s captain this year. The Texas Stars are the primary development affiliate of the NHL’s Dallas Stars.